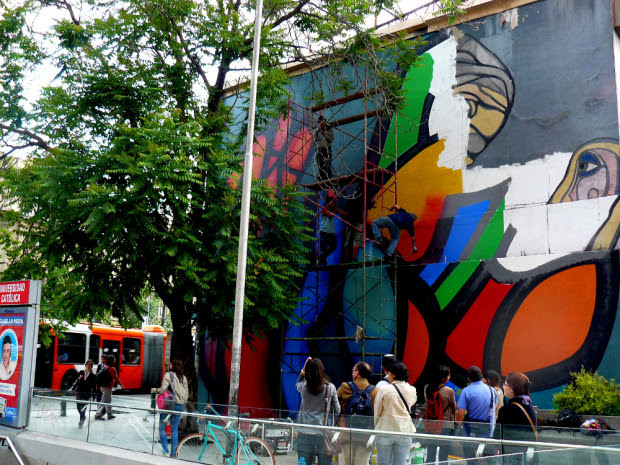 The artist Mono González will relive one of the murals of the UNCTAD 3rd, located at the exit of Universidad Católica subway station. 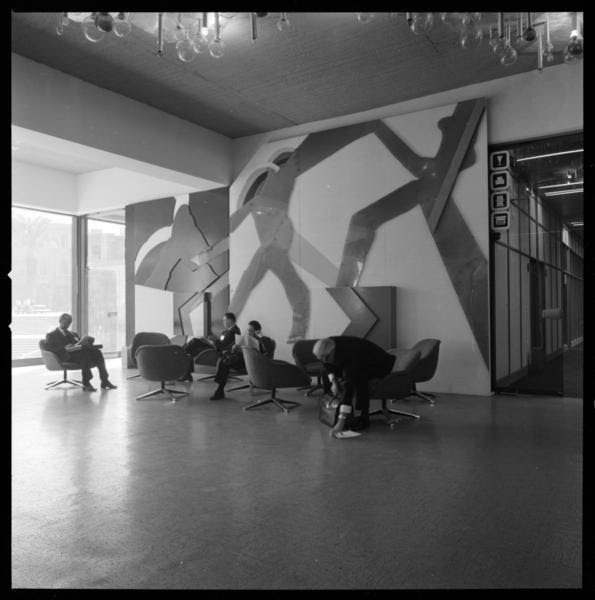 It is about an artwork performed by the National Award of Plastic Arts Guillermo Núñez, who fixed the piece specially for the opening of the building in 1972. A missing arwork since the dictatorship. February 4 – 9 at 20 p.m.
Tuesday 5 to Thursday 7 – 9 at 20 p.m.
Friday 8 – 12 p.m.
Mural signatura by Guillermo Núñez and Mono González. Both artists will be at the activity, Guillermo Núñez, Chilean visual artist. National award of Plastic Arts 2007 and Mono Gonzáles, Chilean mural artist. Founder of the Brigada Ramona Parra; also executive director of GAM Felipe Mella.